Libertarians just want to be left alone to do their own thing. The Amish just want to be left alone to do likewise. Our government was initially designed so we could all be left alone and just do our own thing. Now what we have is government by the elite which is not about to leave us alone to do our own thing. Control is the operant word. I spent Saturday morning at the local farmer’s market talking with some folks from our Amish community. One particular Amish farm family provides my family with homemade butter, cheese and milk. It is against the law in most states for a farmer to sell farm-fresh raw milk items without first having met extensive FDA guidelines. Because of the tyranny of Big Brother, we are compelled to never refer to these items by name. To protect ourselves from potential fines or incarceration for the dastardly act of selling and buying non-FDA approved milk, we make sure to speak in hushed whispers and use code words for the “product”. My Amish friends make sure to deliver the product to me in large mason jars with the words “FOR PET USE ONLY” written on top. Rather than giving my payment directly to them, I put my cash in an unguarded cigar box. The whole scene plays out like an illegal drug deal on a shadowy street corner. Welcome to America. After our last nefarious exchange on Saturday morning, we began discussing the government’s invasive, Orwellian attacks on family farmers and how honest citizens have been made to fear the brutality of the empire. We talked about the new laws requiring farmers to digitally tag all livestock and report any transport of their animals off their farms to the federal government. 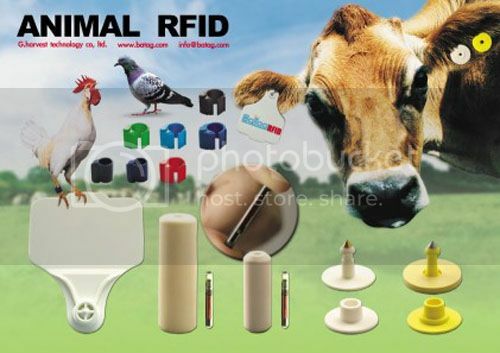 We discussed RFID chips and the future of the government implanting tracking devices in humans. 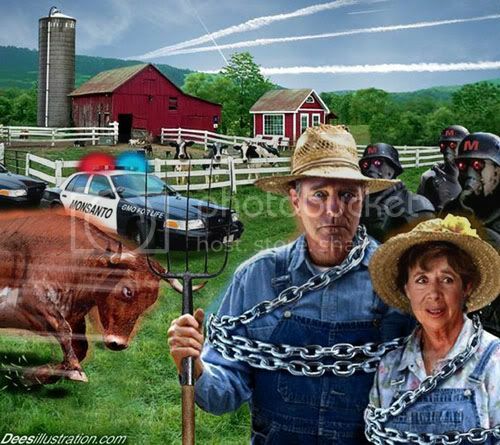 As we talked about the truth of global schemes, the Federal Reserve and Alex Jones type “conspiracy theories”, I looked at my Amish friends in wonderment. They had no running water or electricity in their homes, they dressed in the most simple, unembellished garb that could be assembled, they eschewed the ways of the modern world and sought to remain separate and apart from it – yet here they stood, expressing deep regret that the federal government had found its way into the heart of their community and was tearing it apart. To my surprise, my long-bearded friend pulled out some photos that had been given to him earlier in the week. He and his family (which includes his wife and ten children), along with other concerned family farmers, had been to Washington DC and cooked lunch for Ron Paul with their “illegal” food products (a shining example of civil disobedience) and shared their concerns about the invasion of the federal government into their lives. The pictures were beautiful: Ron Paul standing with my friend and members of his family. Seeing the extent to which the most honest, innocent and harmless members of our society were being driven to plead for government to leave them alone, I felt ashamed – ashamed of my government and ashamed of myself for not having done more to protect the erosion of American liberty. Now, more than ever, the Ron Paul Revolution must roll forward in force. It doesn’t matter if Ron Paul can win the White House or not. What does matter is that we don’t give up the fight against tyranny. The global elite have manipulated our lives for a century. Their schemes to destroy our currency, eliminate civil liberties, enslave us and our children, and spill our blood in the process are all clear and present dangers which must be resisted to our last ounce of strength. We must resist, or we must inevitably perish. 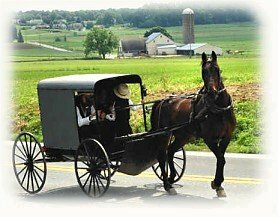 For my Amish friends, for my family, and for my country I commit myself to the noble cause of freedom. Now is not the time to vacillate or shrink from duty. Now is the time to rise and fight. To Red Pills home page. The image used in this post was obtained from HERE and is basically unaltered. This article, excluding the material cited or the material which is included herein but written by other authors or material covered by other copyrights, is copyright © 2008, by Gary Shumway. Permission is hereby granted to reproduce and distribute it electronically and in print, other than as part of a book and provided that mention of the author’s web site www.redpills.org is included. (Email notification is requested.) All other rights reserved. Gary Shumway is the author of Winging Through America and SCUBA Scoop. A major meat smuggling scam from America has been smashed in central Russia. Police stopped a large trailer carrying 22 tonnes of contraband produce – some believed to have been frozen for up to 35 years – meat that technically could have been served to US President Richard Nixon. The food, which came from the US, South America, Canada and Belgium, was delivered via Ukraine. According to officials, the criminal gang delivered the meat to Moscow where it was sold using forged documents. Two members of the group have been detained and, if found guilty, could face 12 years in prison. After implementing policies for many years which complicate, if not make impossible, tracebacks to the source, USDA/FSIS seems to indicate it is willing to consider a midstream change in its attitudes, and policies, regarding Tracebacks to the TRUE ORIGIN of contamination.The December 9 issue of Dow Jones also refers to the upcoming January USDA hearing, but no specific date has been set. One of many concerns I have is that the agency may well attempt to produce yet another prosaic Notice/Directive/Policy which multiplies words, but accomplishes nothing, the primary objective being to disingenuously and piously portray USDA as America’s ultimate public health agency. The agency’s historical refusal to traceback to the origin is readily understood. First of all, it is pertinent to note that E.coli and Salmonella are “Enteric” bacteria, which by definition means that they emanate from within animals’ intestines, and by extension proliferate on manure-covered hides. Retail meat markets (insert Lunds/Byerlys et al), restaurants (insert Sizzlers and dozens others here), and the majority of meat processing plants (review this century’s recalls) do NOT slaughter, thus do not have animal intestines or manure-covered hides on their premises. Therefore, it is reasonable to conclude that the vast majority of E.coli and Salmonella-laced meat is caused by sloppy kill floor dressing procedures. Well, why doesn’t USDA aggressively trace back to the slaughter plant origins? If tracebacks were successfully accomplished which reveal that the contamination ORIGINATED at a slaughter plant, a public backlash would discredit both the agency and the slaughter establishments. Why? Because successful tracebacks would reveal (1) that the big slaughter plants continue to ship tonnages of contaminated meat into commerce, bearing the official USDA Mark of Inspection; and (2) the tracebacks would reveal that the agency is asleep at the wheel at the biggest plants, by official agency design. Why do I state that? Because the current form of meat inspection, which is called Hazard Analysis Critical Control Point (or HACCP) deregulated the largest slaughter facilities. Prior to HACCP, the agency promised the industry that under the HACCP protocol, (1) the agency would maintain a “Hands Off” non-involvement role, (2) the agency would no longer police the industry, but the industry would police itself, (3) the agency would disband its previous command & control authority, and (4) each plant would write its own HACCP Plan, and the agency could not tell the industry what must be in their HACCP Plans. True to its word, USDA has fully lived up to its pre-HACCP promises, but only at the deregulated largest plants. In stark contrast, the agency has used HACCP to hyper-regulate the small plants. These differences are begging for a movie or book to expose the agency’s true intentions, which are focused on justifying USDA’s semi-retirement at the biggest plants, while hagriding small plants out of existence. Today, 88% of feedlot-fattened steers and heifers are killed at the Big 4 packer plants, which enjoy political clout and the economic wherewithal to force USDA into paralysis. The agency lives in fear, knowing that if it attempts truly meaningful enforcement actions at the big packers, the agency will be defending itself in court, and for good reason! Realizing that USDA promised to maintain a “Hands Off” non-involvement role under HACCP, that it would no longer police the industry, and would jettison its previous command-and-control authority, the agency has knowingly painted itself into a corner which prevents it from forcing changes onto non-compliant big plants. USDA fully deserves to lose such litigation, and will, so chooses to avoid litigation. So, to circumvent this delicate problem, the agency has implemented policies (some of which are not written) which prevent tracebacks to the origin. We should not be surprised when we continually experience these ongoing outbreaks and recurring recalls, because both (1)USDA and (2)litigation have focused its sanctions against the downstream destination facilities (restaurants, retail meat markets, and further processing plants) which have unwittingly purchased meat which was previously contaminated with invisible pathogens. Until USDA is willing to Force the Source, rather than Destroying the Destination, America is virtually guaranteed ongoing outbreaks. USDA is totally opposed to putting Bill Marler out of business, and in fact is Mr. Marler’s ultimate ally by promoting the rights of the big slaughter plants to continue producing enteric bacteria-laced meat with virtual impunity. Why does USDA appear to have experienced a sudden change in heart regarding Tracebacks? I propose that since successful tracebacks have been accomplished for melamine-laced products, spinach to a mere handful of California farms, as well as tracebacks of lettuce, peppers, peanut butter, etc, USDA’s historical inability to traceback to the slaughter plants of origin has become monumentally conspicuous in comparison. And think of the irony of this historical fact! Although FDA has inspectors in produce plants only once every few years, the agency has successfully accomplished these tracebacks. USDA on the other hand, has inspectors in every meat plant every day, yet is strangely unable to match FDA’s success in performing tracebacks. 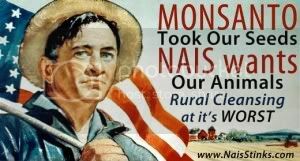 Perhaps the Obama administration is to be credited with the USDA’s born-again metamorphosis in its alleged desire to suddenly perform tracebacks to the origin of contamination. I can guarantee everyone one thing: we had best be closely watching every statement USDA makes in its January hearing, because the agency’s past performance in this area proves that USDA fears big packer clout more than it fears public health outbreaks. After implementing policies for many years which complicate, if not make impossible, tracebacks to the source, USDA/FSIS seems to indicate it is willing to consider a midstream change in its attitudes, and policies, regarding Tracebacks to the TRUE ORIGIN of contamination. The December 9 issue of Dow Jones also refers to the upcoming January USDA hearing, but no specific date has been set. One of many concerns I have is that the agency may well attempt to produce yet another prosaic Notice/Directive/Policy which multiplies words, but accomplishes nothing, the primary objective being to disingenuously and piously portray USDA as America’s ultimate public health agency. The agency’s historical refusal to traceback to the origin is readily understood.